Stadler was taken into custody in mid-June on suspicion of interfering with an investigation into diesel-emissions cheating. 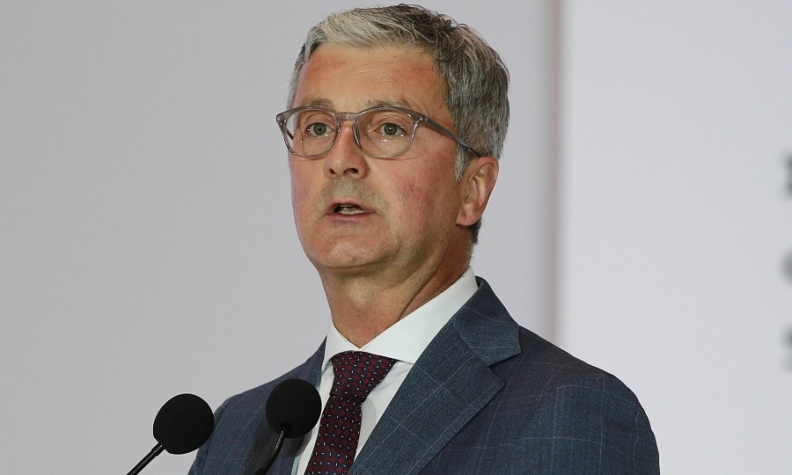 BERLIN -- Volkswagen Group has terminated Audi CEO Rupert Stadler's contract against the backdrop of a criminal investigation into whether he was involved in the company's emissions cheating. Munich prosecutors are investigating Stadler and another member of Audi's senior management for suspected fraud and false advertising related to illegal emissions by its cars and manipulation of vehicle tests. The departure of Stadler came as the German government presented a plan to cut pollution from diesel vehicles in the country's continuing efforts to negotiate the aftermath of VW Group's emissions scandal that surfaced three years ago. Stadler is leaving his posts as management board member of the VW Group and as CEO of Audi with immediate effect, the company said in a statement. He had been suspended after he was taken into custody in mid-June on suspicion of interfering with an the emissions-cheating investigation. Sales executive Bram Schot is acting as interim CEO at Audi. Both VW Group and Audi have said that Stadler is presumed innocent unless proved otherwise. Stadler is leaving because he is unable to fulfill his duties as a member of the management board and wishes to concentrate on his defense due to his ongoing pre-trial detention, VW said in its statement on Tuesday. Following his arrest, Munich prosecutors said that Stadler, the most senior active VW Group executive to be remanded in custody since the scandal broke, was being held on fears he might hinder their investigation. Before becoming Audi CEO in 2007, Stadler was a confidant of, and former assistant to, then-VW Group Chairman Ferdinand Piech, the scion of the group's controlling Piech clan. Peter Mosch, works council chief and deputy head of Audi's supervisory board, said the move gave the company more clarity for the future. In July, VW Group recruited BMW engine development and purchasing expert Markus Duesmann, who has been touted as a potential successor to Stadler as VW looks for clean-engine expertise to help it shake off the scandal. A source familiar with the matter said that severance payment terms for Stadler would depend on the investigators' findings. Stadler's VW contract was due to run to the end of next year and his Audi CEO contract to the end of 2023. Audi created so-called "defeat" devices that cut emissions in 1999, years before they were used in up to 11 million VW Group diesel cars sold worldwide, German press reports have said.